Lusovini was founded in 2009 and is based in Vila de Nelas in the Dão. This is where its offices, warehouses and wineries are located. This company has been developing its business through an internationalization policy. The company has expanded its horizons to Angola, Mozambique and Brazil under the names Lusovini Angolaa, Mozamvini and Brasvini, respectively. In addition to the own production in the various Portuguese wine regions of brands like Cativo (Vinho Verde DOC), Palavrar (Douro DOC) and Torre de Coimbra (Bairrada DOC) among others, Lusovini also bets on a network of partnerships with producers and oenologists such as Anselmo Mendes (Vinho Verde), Domingos Alves de Sousa (Douro), Luís Duarte (Alentejo), Álvaro de Castro and João Paulo Gouveia (Dão) among others, thus allowing it to cover a wider range of regions and target audience. Near Pinhão, about 100kms from Porto and on the river banks of the Douro we can find Quinta de la Rosa, which is owned by the Bergqvist family since 1906. 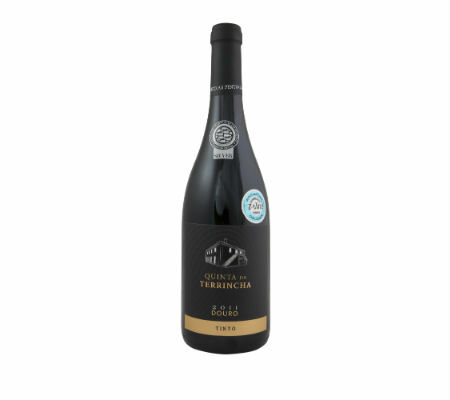 It currently has 55 hectares of vineyards with the red grape varieties Touriga Nacional, Touriga Franca, Tinta Roriz, Tinta Barroca, Tinta Cão and Souzão and the white grape varieties Viosinho, Rabigato and Códega. In 2011 Quinta de la Rosa underwent a complete refurbishment, which was being prepared for 7 years and ended in 2012. This remodeling included a new wine cellar, storage facilities with controlled temperature, an improvement in unloading and grape selection facilities, among others. For a more detailed view of this producer see the video below and see the previously published article here. The history of Enoport begins in 1881 with the foundation of Adegas Camillo Alves, the oldest company of the group of companies that came to give rise to the Group Enoport United Wines. It arose from João Camillo Alves’ desire to trade quality wines in an organized way. 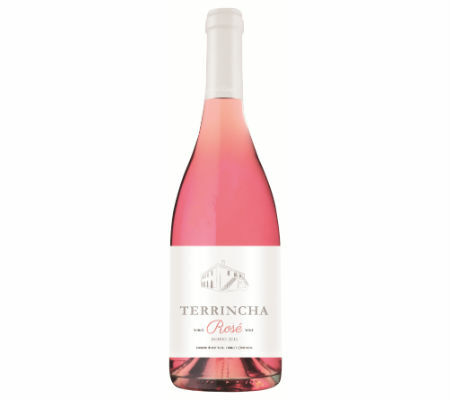 It is a group that produces wines in several regions of the country, and different ranges, since it has acquired several other companies over the years, such as Cavipor, Caves Velhas or Caves Acácio. To get a more detailed view about the history of the Group Enoport United Wines see the video below. It was in 1988, in Vidigueira, near the Serra do Mendro and specifically in Cortes de Cima that Hans and his wife Carrie decided to settle in order to start a family and to plant a vineyard. In 1991 the first vines were planted and the option, contrary to what would be expected, fell on red grape varieties. Among them, and “against” the DOC regulations at the time, was the Syrah, which achieved such success that led to the amendment of these regulations. The property consists of 400 hectares, of which 140 are planted vineyard, 112 with the red varieties Aragonês, Syrah, Touriga Nacional, Petit Verdot, Trincadeira, Alicante Bouschet and Cabernet Sauvignon, and 28 hectares with the white varieties Antão Vaz, Alvarinho, Verdelho, Viognier, Sauvignon Blanc, Gouveio e Chardonnay. To get to know more about the history of Cortes de Cima see the video below and stay tuned for our upcoming article next week. Quinta dos Carvalhais is a Sogrape brand expert in Dão wines. It was acquired in 1988 from the perspective of expansion of a project in the region, which had begun in 1957. It is located in Mangualde and has 105 hectares, 50 of which with vines with noble regional grape varieties such as Touriga Nacional, Tinta Roriz, Alfrocheiro, among others. The head winemaker is Manuel Vieira and at modern winemaking center they produce the wines Quinta de Carvalhais Único, Reserva, Colheita, Encruzado and other varietals, Colheita Tardia e Espumante Reserva Rosé, exclusively using its own grapes, combining experience with state of the art techniques . Here, they also produce the wines Duque de Viseu white and red, in this case combining own grapes with grapes purchased from local producers. It was in 1815 that the two Scottish brothers (already with a successful business), Robert and John Cockburn, decided to set up a branch in Porto, known as R & J Cockburn’s. Cockburn’s managed to build an outstanding reputation on Vintage Port and the records demonstrate it, in the early twentieth century they were leading the auction houses in London with the highest prices. Like all the early Port wine companies, Cockburn’s has seen its name change, in this case to Cockburn’s & Co, a name that persists to this day. The family grew with the addition of other families such as the Wauchopes, the Smithes, the Teages and Cobbs. Ten years ago, in 2006, Symington acquired Cockburn’s, thus becoming again the property of only one family. For a more detailed view you can watch the video below. In the late seventeenth century Jerónimo da Cunha Pimentel ordered the construction of Morgadio da Calçada House, which is located in Provesende and is one of the most ancient manor houses in this location. It opened to the public in the 90s and has played an important role in the development of the region, but without ever losing its identity. Provesende is inserted in the Douro region (classified as World Heritage by UNESCO) and is one of six villages classified of the Douro Valley. The Morgadio da Calçada wines have Dirk van der Niepoort’s signature and are born of the green plateau which contrasts with the rest of the Douro wine region. For a more detailed view see the video below.